This U-2513 submarine was one of the new breed of German U-boats destined not to see any World War II action. Commissioned October 12, 1944 she was under the command of Hans Bungards, who was relieved April 27, 1945. Her new commander Erich Topp held his position for less than 2 weeks before surrendering the U-boat in May, 1945 at Horten, Norway. For the Allies it was likely good news that this submarine never saw action. She was truly the first real quality submarine the Germans had built. When Germany invaded Poland on September 1, 1939 they were going against the treaties they'd signed at the end of World War I. As such, they hadn't had sufficient time to build up the arsenal of their dreams and so they opted for quantity as opposed to the quality they desperately needed. As the war raged, and the Germans gained momentum, they had more time to develop greater and better weapons. This is where the development of the U-2513, or the new elktraboote as it was called, came into play. The U-2513 was the first submarine that could stay submerged for 11 days, giving her tremendous advantage over her enemy, the Allies. She also was equipped with radar devices and a new sonar technology that allowed her to detect her targets from 5 miles away. Not only did this WWII German submarine have remarkable down time, she had a top surface speed of 15 knots. At 252 feet in length, she was also formidably equipped with 6 bow torpedo tubes and 23 torpedoes. Built with a hydraulic torpedo loader, her crew were also able to load her torpedo tubes in an impressive time of just 12 minutes. When her Captain surrendered her to the Allies, the U-2513 was taken into possession by the Americans. Her construction was studied, and once all of her secrets had been revealed, she was deemed unnecessary and selected for target practice. 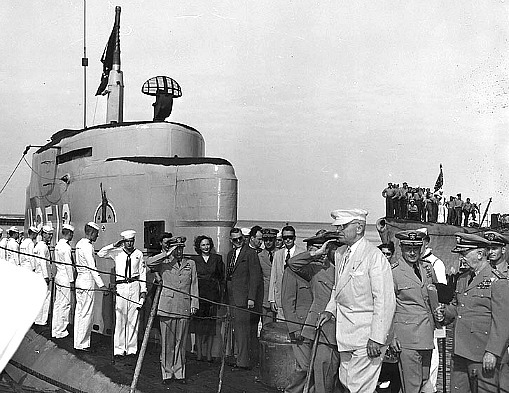 On October 7, 1951, the pride of the German Navy was towed 23 miles northeast of the Dry Tortugas National Park and sunk as a firing test by the USS Destroyer Robert Owens. This Key West dive is in a very remote location so you'll need to be aware of several facts. First, she sits at a depth of about 214 feet so she's a technical diving site only. Second, Key West dive charters typically don't run out to this wreck dive because of the distance. This means you'll either have to make special arrangements or have your own boat. 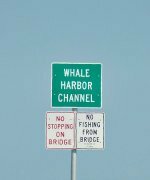 However, if you have the necessary scuba diving certification, and the ability to reach the U-2513 , this is quite an amazing Key West scuba site. You'll find that she sits with a list of about 60 degrees starboard. You'll also encounter damage fore and aft of her conning tower which has it's door open but is too narrow to access. The forward damage around the conning tower provides a look inside at the torpedo room, where much of her equipment is located. You'll also be able to easily identify her various torpedo doors. As you move along her port side you'll encounter some of the anti-sub weapons that had been used by the Robert Owens during target practice. You'll also notice that a considerable portion of her outer hull is severely eroded. Many of the U-boat's valves and pipes are clearly visible running along this corroded area. You'll also find that her hull has sustained major damage just outside of her engine room, and when you reach her stern you'll find her propellers are set against her diving planes and rudders. Since this once magnificent U-boat lies at 214 feet, you'll need to be dressed in proper gear as the water will be cold at this depth. Light will also be a problem, so you'll need to be equipped with dive lights, along with other diving equipment essential for a challenging technical diving site. If you're planning on diving Dry Tortugas and are certified to include a wreck dive on the amazing elektraboote U-2513 be prepared. It will be a long day. The distance there and back is substantial, and the decompression time is a minimum of 90 minutes. If you know these scuba diving facts, plan accordingly and bring the necessary technical diving equipment. You'll be one of the few divers who's been scuba diving in Key West and experienced this past marvel of German technology.